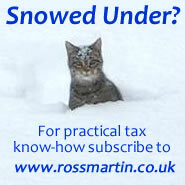 In Snow Factor Limited v HMRC  UKUT0077 the Upper Tribunal ruled that the appellant was not required to pay the sum of disputed VAT ahead of an appeal to the UT as it would cause financial extremity. The company had claimed hardship and had not paid any of the disputed VAT before appealing assessments made by HMRC. Following the FTT’s decision, the company made an appeal to the UT. Unfortunately, the effect of section 85A(3) of VATA 1994 is that the company then became required to pay the amount of VAT that the FTT had determined to be payable. The company made an application under section 85B of VATA 1994 as whether financial extremity might be reasonably expected to result from HMRC’s decision to require payment of disputed VAT. The UT found no decided cases on this isssue and after considering the company's financial circumstances agreed that financial extremity may be expected and therefore allowed the company to hold back payment of the actual sum disputed in the UT appeal.